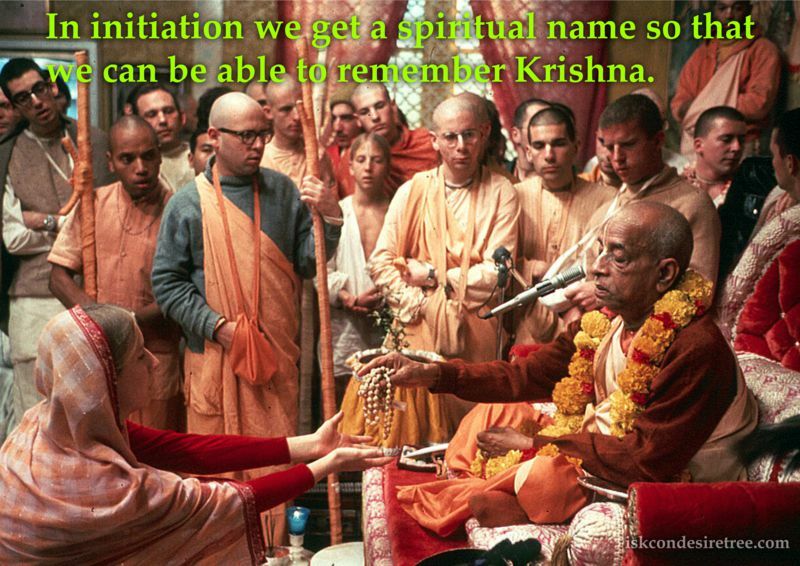 In initiation we get a spiritual name so that we can be able to remember Krishna. 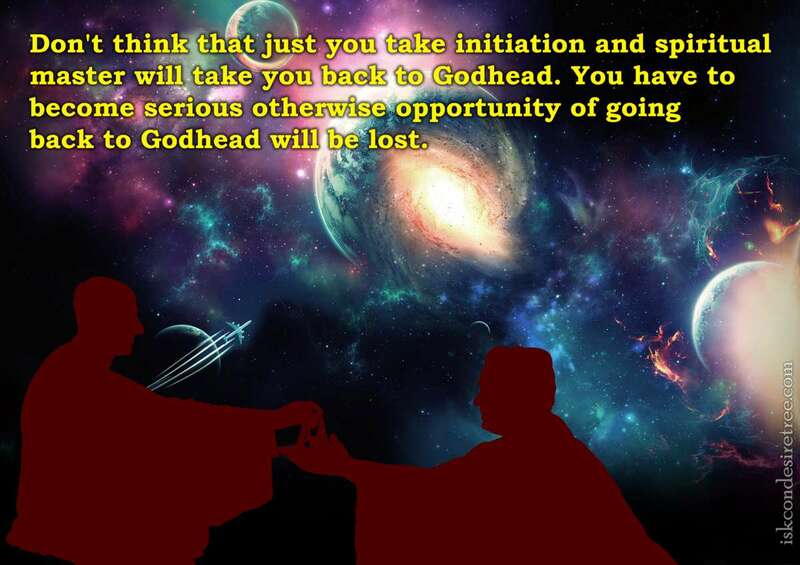 Don't think that just you take initiation and spiritual master will take you back to Godhead. You have to become serious otherwise opportunity of going back to Godhead will be lost. Any person who is seriously desirous of achieving real happiness must seek out a bona fide spiritual master and take shelter of him by initiation. Simply becoming initiated does not elevate one to the position of a high-class brahmana. One also has to discharge the duties and follow the regulative principles very rigidly. Initiation is a kind of registration.The main thing is how sincere, serious, dedicated and honest you are. If you are committed to Sri Guru & Vaishnavas, then you will surely progress in spiritual life. Guru is like an axe who cuts the attachments deep within one’s heart. Real diksha means that he has no attachment to anything of this material world.